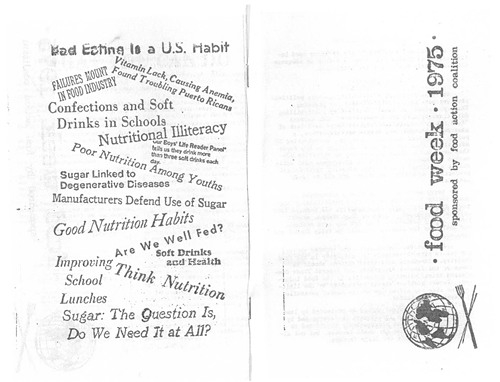 Given the fact that many of those issues continue to loom large, it’s no surprise that CSPI decided to reinstate Food Day — which only lasted a few years in its first incarnation — in 2011. According to Lilia Smelkova, CSPI’s Food Day campaign manager, the idea was to unify the sustainable food movement, with all of its separate (and occasionally contradictory) submovements — organic food, Slow Food, food access, etc. — under one platform. Held on Thursday, October 24, this year’s event will have a particular focus on food education, Smelkova said. There will be Food Day celebrations at about 300 university campuses, with activities that range from coordinated “apple crunches” to pledging to purchase only healthy, sustainably sourced foods for anywhere from one day to an entire year. For its part, UC Berkeley will host cooking demonstrations and tastings of local foods from 11 a.m. to 2 p.m. on Upper Sproul Plaza. In Oakland, the Jack London Square Farmers’ Market and Pacific Coast Farmers’ Market Association are putting together a Food Day Pop-Up and Beer Garden that will take place on Sunday, October 27, from 3 p.m. to 7 p.m. at Old Oakland’s La Borinqueña Mex-icatessen (582 7th St.). Organizer Sarah Trent told What the Fork that the event will feature an organic vegetable stand, mobile food vendors and food artisans from Kitchener Oakland, and a local chef who will be on hand to demonstrate how to use less-familiar items of seasonal produce. Ground Stew Farm's Sergio Jimenez, whose produce will be featured at the Food Day pop-up in Old Oakland. Beer will be provided by Linden Street Brewery and Almanac Beer Co. Proceeds from beer sales will benefit the association’s Market Match program, which gives food stamp recipients extra money to buy fresh produce at participating farmers’ markets. Meanwhile, on Wednesday, October 23, from 1:30 to 5:30 p.m., the Acta Non Verba urban youth farming project will host a kid-friendly Food Day event on its quarter-acre farm, located at 1001 83rd Avenue (at E St.) in East Oakland. Acta Non Verba director Kelly Carlisle said that promoting a healthy lifestyle will be the focus of the event. So, in addition to food-oriented activities like a pizza cook-off and a blender bike (which will allow kids to make their own smoothies), there will also be a climbing wall and other physical activities. Carlisle noted that the event will be geared toward children ages 5 to 13, but everyone is welcome.